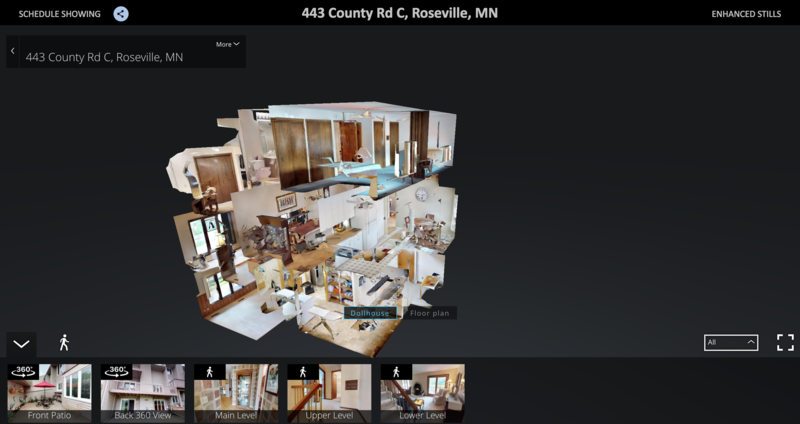 Watch the 3D interactive tour link, take a walk through the home right from your computer. Not just a slideshow. Shared association pool. Pond views from all back windows. Has two decks overlooking the water. Master ensuite with deck overlooking pond. Can use a canoe or winter cross country ski. Upper bedrooms can be one large room, divided by accordion wall. Multi-level home offers wonderful entertaining space. Formal dining room, 3 fireplaces, deck length of living room overlooking pond. There is a workshop area connected to the laundry area. Lower level office with storage room. Private front patio area with new entry gate door. Convenient location, quick access Hwy 36, 35E, 35W, Rosedale Mall and Central park. 2015 the roof was replaced. Also the central air conditioner and water tank. 2012 Furnace replaced.